The Ispahan macaron has to be my favourite macaron of all time. A concoction of raspberry, rose and litchi, flavours which wouldn’t have called to me at first but after my first bite I couldn’t imagine a world without such an ingenious combination. 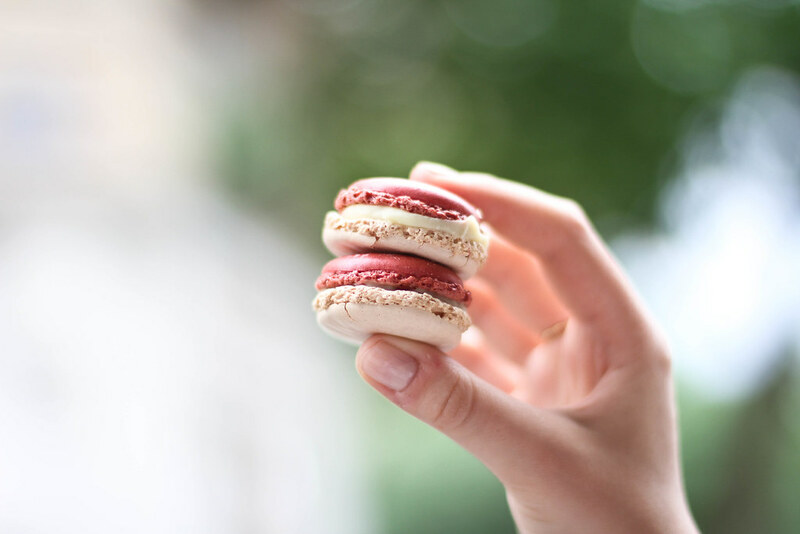 This season Pierre Hermé has created a range of veloutés macarons, a silkier and more velvety version of his traditional macarons. Each of them are delicious, (can Pierre Herme do no wrong?!) but of course the one with the lasting impression for me would have to be the Ispahan. Next time I’m in need of a little sweet snack I know where I’ll be heading. mmm not only do they look amazing, they must taste SO good !! Tu es toujours trop gentille Gloria!